Early connections last a lifetime. The earlier children begin receiving support, the better. The fact is, too often babies, toddlers and children with developmental concerns get missed. The words “don't worry” or "wait and see" discourage families and prevent the kind of early screening and diagnosis that can inspire early intervention and improve educational outcomes. Consider this fact:about one in seven children in the United States faces a developmental disability or a disabling behavioral problem before age 18.Yet fewer than 50% of these children are identified before they start kindergarten. We think the numbers are even lower in Escambia County, but we can't afford to assume. Quantifying the patchwork quilt of developmental screening in our community is the central focus of our Developmental Screening Task Force, which is launching a survey this month to establish baseline data on the percentage of children ages 0 to 5 who are screened by an appropriate developmental screening tool. Armed with local data, we can begin raising awareness and mobilizing our community to develop a system to standardize and share developmental screening assessments. Other communities have done this, and we can learn how the are: (1) raising funds to provide training and technical assistance to support professionals (pediatricians, home visitors, early care and education professionals and others); (2) building a system to incorporate standardized screening tools into infant, toddler and family settings; and (3) coordinating a local network supports to intervene early, well and often. Together, these tools can help every infant and toddler achieve the promise of a bright future. Contact Kimberly Krupa to learn more about our task force or get involved today. 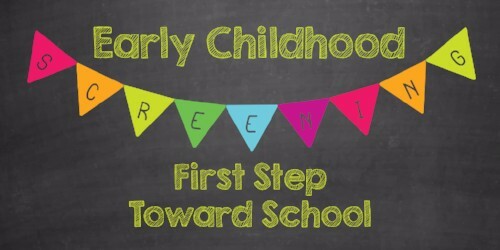 Are you passionate about preschool? Join our VPK Readiness Task Force to get involved in local efforts to ensure every child achieves kindergarten readiness through access to local VPK, early education and preschool enrichment programs. Studies show high-quality preschool works. Children who attend preschool are more academically and socially prepared for kindergarten than their peers who did not attend. Evidence from long-term evaluations suggests preschool has significant effects on important societal outcomes such as high school graduation, even as academic outcomes converge with children who did not attend preschool. Our task force is focused on ensuring all Escambia County children have access to the power of preschool. Contact Kimberly Krupa to learn more about our task force or get involved today. Imagine a future in which every high school graduate was prepared to enter college without the need for remedial coursework and/or to join the workforce with the knowledge and skills employers need? Making that dream a reality is the heart and soul work of the Career Readiness Collective Action Network launching in November. Our action network is kicking off on November 9, 2-4 p.m., at the CareerSource EscaRosa offices at 3670 N. L Street. To RSVP or get involved, contact Kimberly Krupa today. Each year, more than $24 billion of financial aid goes unclaimed. To get this money for college, all students need to do is fill out one form: the FAFSA. Submitting the FAFSA is the first and most important step in receiving financial aid for college, and that is why UWF has been selected as a ‘Form Your Future’ host site for the fourth year in a row. More than 65 percent of UWF students receive some form of financial assistance, including more than $99 million in grants, scholarships or loan assistance. Form Your Future is a national effort to ensure that all students have access to free FAFSA application assistance. The event will take place from 10 a.m. to 3 p.m. on Nov. 18 in the College of Business Atrium, located in Building 76A on the second floor. The event will be held the same day as the Explore UWF annual open house. Pensacola State College will be 70 years old next year. President Ed Meadows' recent column chronicles how PSC is reaching even higher milestones as more students choose Pensacola State – as evidenced by this fall’s 5.4 percent enrollment increase. During the most recent spring and summer semesters, enrollment grew by 4.3 percent and 8.1 percent, respectively. Congratulations to the Early Learning Coalition of Escambia Countyfor winning an IMPACT 100 Pensacola Bay Area award for a capacity-building project that will strengthen local infant/toddler and preschool classrooms. Strive Together, the Coalition for Community Schools and Communities in Schools have launched the Students at the Center Challenge, with support from the Chan Zuckerberg Initiative and the Ford Foundation. Through the challenge, it is anticipated that planning grants of up to $150,000 will be awarded to approximately 10 communities that commit to changing how they align and expand their work to help students, particularly children of color and low-income children. Match.com for internships? "Yes!" says Youth CareerConnect in central Oregon, which recently announced a public-private partnership that streamlines the internship search process by putting internship coordinators in local business associations. The latest research and action on all things cradle to career. Policy Papers: High-Quality Early Care and Education: ZERO TO THREE and CLASP have released three papers making the case for investment in high-quality early care and education, as part of their Building Strong Foundations: Advancing Comprehensive Policies for Infants, Toddlers, and Families project. These papers on Early Head Start, Child Care Assistance, and Early Intervention are three in a series describing 13 policies core to advancing infant-toddler well-being in four essential areas: healthy bodies, healthy minds, and healthy parents; economically stable families; strong parents; and high-quality child care and early education opportunities. Resource Toolkit: Systems Thinking for Social Change: Bridgeway Partners has released four new resources that introduce foundations, grantees, public policy makers, corporate social responsibility managers, and consultants to systems thinking principles and tools for social change. The Gates Foundation's recent funding announcement represents a huge shift for systems thinkers. Funding capacity-building and collective impact is the core of Gates's new focus on networked learning communities. Listen to episdoes 1-8 of the College Ready Florida Broadcast. During the first eight episodes, host Amy Bolick — FCAN’s statewide programs coordinator — offers an overview of the College Ready Florida initiatives and covers a different aspect of hosting or organizing an event, with an emphasis on Apply Yourself Florida festivities.